Condo directors, like politicians, are elected to make the hardest and most painful choices. They are not elected just to decide what to spend and how to spend it. 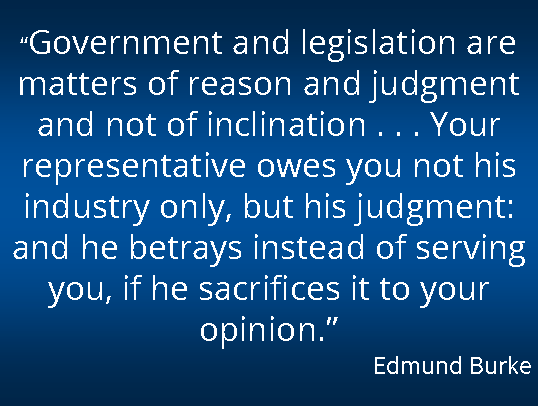 Edmund Burke, a highly respected British-Irish statesman in the 1700s, served in the British House of Commons. By the twentieth century he was regarded as the philosophical father of modern conservatism. His original thinking on government has been widely quoted and deserves consideration by condo owners and directors.